A Christian party has lost a High Court bid to have its party election broadcast (PEB) repeated, after claims it was censored by the BBC and ITV. Christian Choice said the BBC forced changes to its description of a Muslim group in a PEB aired in London. The BBC said it expressed concern and Christian Choice responded by agreeing to change the form of words. The judge said the request had been left "far too late" - although he did not think the PEB had been libellous. 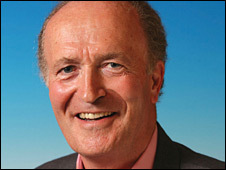 Alan Craig, the party's candidate for London mayor, had argued the action breached his rights under the European Convention on Human Rights - which guarantees the right to freedom of expression. Rejecting Mr Craig's request for a judicial review, the judge, Mr Justice Collins, said he should have launched the legal challenge before the broadcast took place on 23 April. He said it was "perfectly permissible" for the BBC to take into account legal advice that the original broadcast might have been libellous - although he did not think it would have been. However he said he was not a libel lawyer, and that was not the point. Mr Craig said the BBC had "commanded" the words be changed about the Muslim group planning to build a large mosque in east London; a proposal which Mr Craig opposes. But the judge said the BBC had indicated that if a legal challenge had been issued before the broadcast it would have "backed down and let them publish as they wished." "Unfortunately that was not done," Mr Justice Collins added. He ordered Mr Craig to pay the BBC's £11,875 in legal costs. Mr Craig's lawyer, Paul Diamond, said the case had raised issues of constitutional importance and the "right of political parties to raise issues of concern". He added that there was much public concern over the proposals for the 12,000 capacity mosque. He told the judge: "There is a serious hindrance of free speech taking place on this." A BBC spokesman said the organisation welcomed the ruling adding: "The judge recognised that the BBC and other media bodies could properly raise concerns about proposed party election broadcasts." The unedited version of the PEB is running on YouTube. The Christian Choice is an electoral alliance between two political parties - the Christian Peoples Alliance and the Christian Party. Mr Craig is their candidate for London mayor. Christian Choice is fielding 11 candidates for the London Assembly, including Mr Craig.